Katherine Kumpula, on a recent visit to Calgary. Kumpula started dancing at the age of three, beginning with classical ballet. As the years went on, the dancer, intrigued by the abstract, pushed towards contemporary dance. 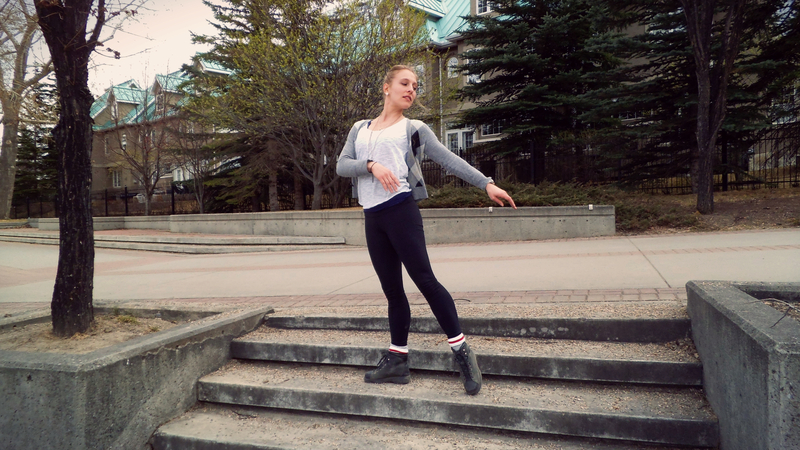 Kumpula attributes the shift in styles to her growing into her own as a dancer. 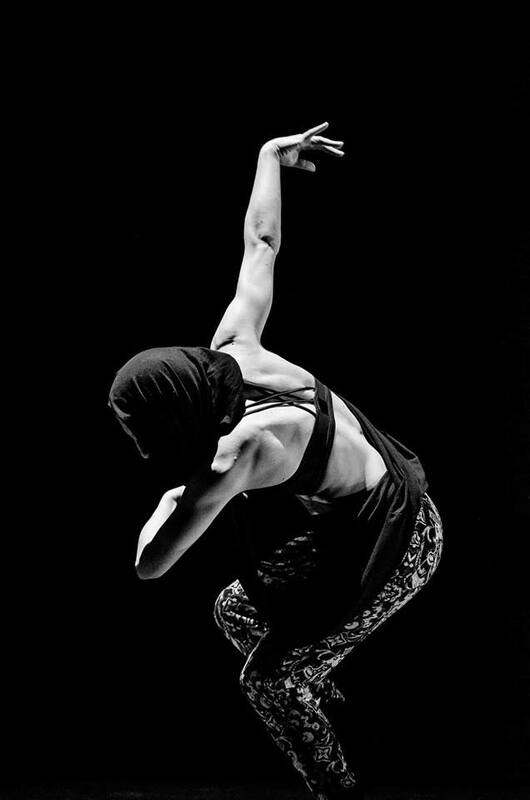 Today, Kumpula applies what she has learned over the years with Silhouettes Dance Company. Founded in 2002 by Caryl Mostacho and Alesia Kachur, Silhouettes Dance Company is a performance-based dance troupe at the University of Toronto that performs several times over the year, ending its season with an annual showcase. The company adheres to values that promote a positive learning environment where both new and seasoned dancers can learn from one another. Katherine Kumpula, “The Nights,” Silhouettes Dance (2015). Photo Credit: John Yelinek. Last year, she choreographed a piece for the company that explored the dancer’s quest for perfection. It is an experience dancers know all too well, says Kumpula. But these days, dance is more an escape for Kumpula than something that causes her stress. “[Dance] is very therapeutic. It’s therapeutic for me to have that [creative] outlet and to do something totally different than what I am doing the rest of the time,” said Kumpula who works at the hospital as a nurse. Kumpula says dance is important too for the social connection, connecting with those who have a wide-variety of interests and, at the same time, want to keep their passion for dance alive. And though her journey through dance has seen many changes over the years, Kumpula’s passion for dance has been constant. After all, dance is never-ending.